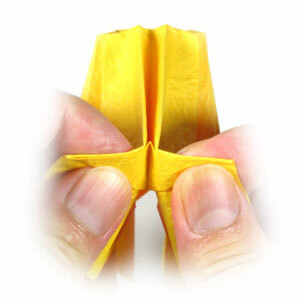 Rotate the origami daffodil flower model by 90 degrees. 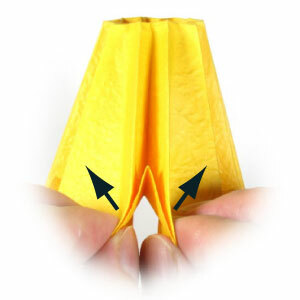 Prepare to open two petals following the arrow directions. Open two petals following the arrow directions according to the step #27. Prepare to repeat the steps #27-28 for six times.